Contemporary opulence is yours with the Chandon chandelier - inspired by the elegance and glamour of Edwardian style but brought right up to the 21 century. 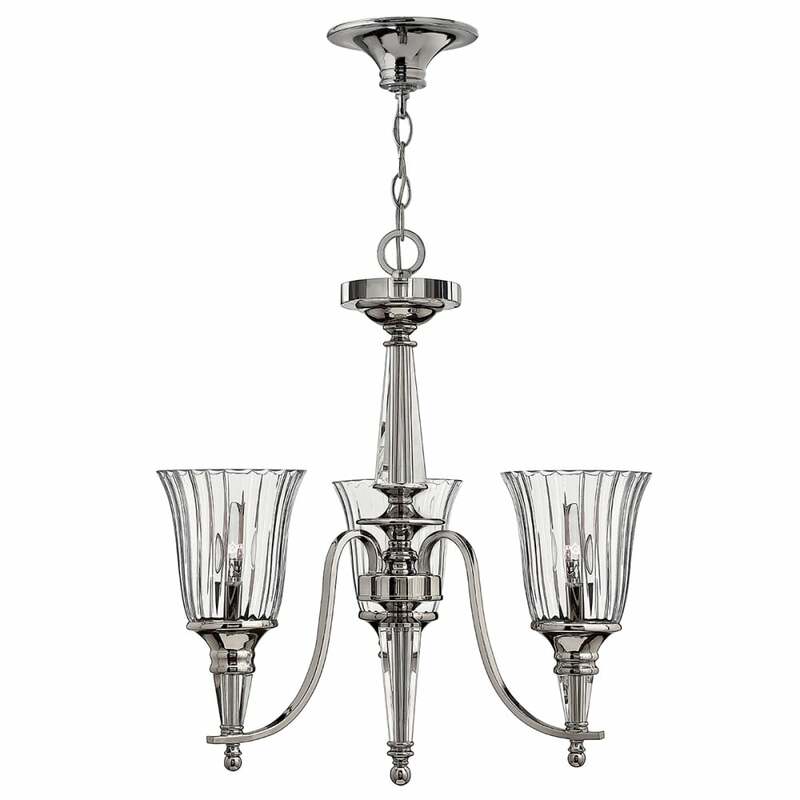 A sparkling polished Sterling finish shines beside a solid crystal centre column and finials. Chandeliers are available with 3, 6 and 9 lights, plus accompanying wall lights. View All Hinkley Lighting for more information on Chandon or view the complete Chandon Collection.